Topiary Guest House is a lovely guest house on the outskirts of Elliot with magnificent mountain views. Run by hosts Cheryl and Johan. 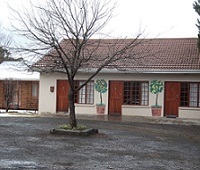 If you are looking to be spoilt, then Topiary Guest House is the place for you. Topiary Guest House has a beautiful large tranquil garden with an abundance of bird life. Value-for-money accommodation is a joy for all our guests. Topiary Guest House has 10 rooms, each with their own appeal. The rooms are beautifully decorated and extremely spacious. Laundry will be done free of charge for guests that stay with us for longer than three days! 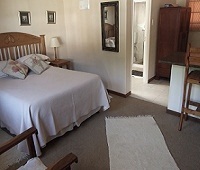 All meals are served in the rooms, and all guests love being spoilt with breakfast in bed. 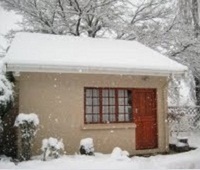 Safety is not an issue as the property has electric fencing as well as a controlled entrance.